Planning an event? Scarpas caters to you! Scarpas Catering Services brings over two decades of experience to the planning and execution of your unique event. Our full service catering offers all styles of cuisines expertly prepared to give you the highest quality product available. 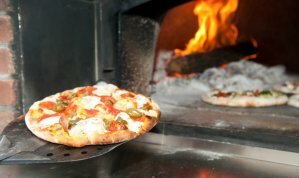 Whether your upcoming event is a formal reception, cocktail party, luncheon, company picnic, or corporate gala, we can build a menu to suit your needs. From Pasta to Prime Rib to Grille-On-Site services, we would like to make your next event something special. Check our Catering website Cooperage Scarpas Catering or speak to a manager for details. We bring the taste to you! Cooperage & Scarpas Catering is dedicated to providing you with exceptional food and service anywhere, any time. 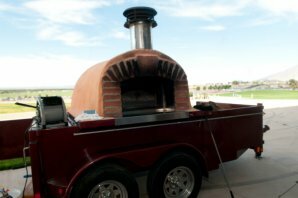 In addition to our traditional catering services, we also offer on-site traditional wood-fired Neapolitan pizza for any occasion, at any venue.